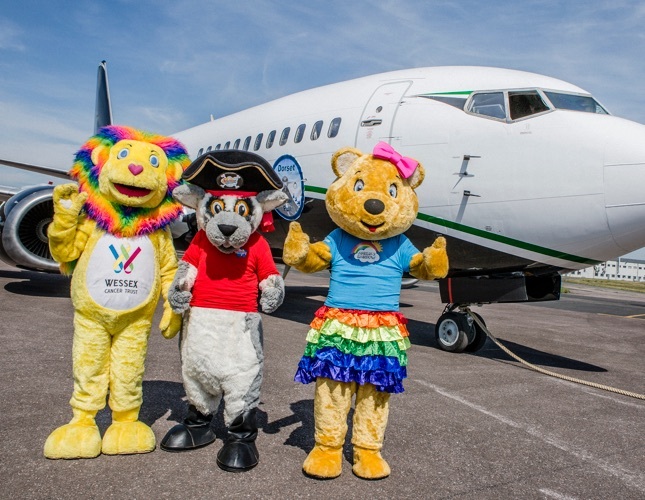 Welcome to the Dorset Plane Pull, the UK’s only charity event of its kind. 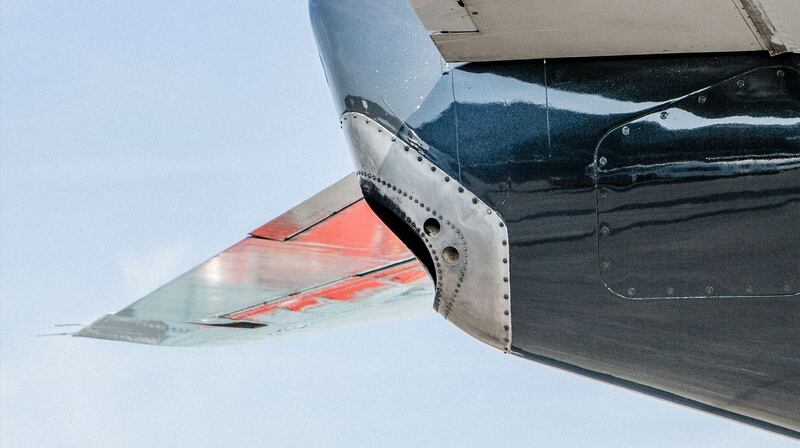 Want to know what’s involved in the Dorset Plane Pull? It’s quite simple really – although by no means a small feat. 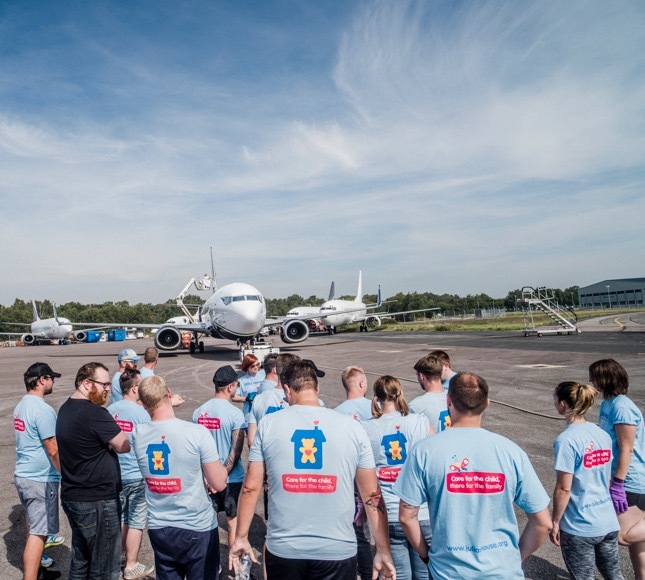 Teams of 20 people enter to pull a Boeing 737 weighing in at 35,000 Kg a distance of 50 metres to raise money for charity. To get involved in our incredible day out all you need to do is form a team. We recommend teams of 20 people to pull the plane. Pick a charity, limber up and get ready to pull. We at the JTYAF have been involved and participated in the Dorset Plane Pull since its inception 10 years ago. We are also in our 10th Anniversary year and can't wait to take part in this year's event. A thoroughly professional day that is great fun as well as being a brilliant fundraiser. 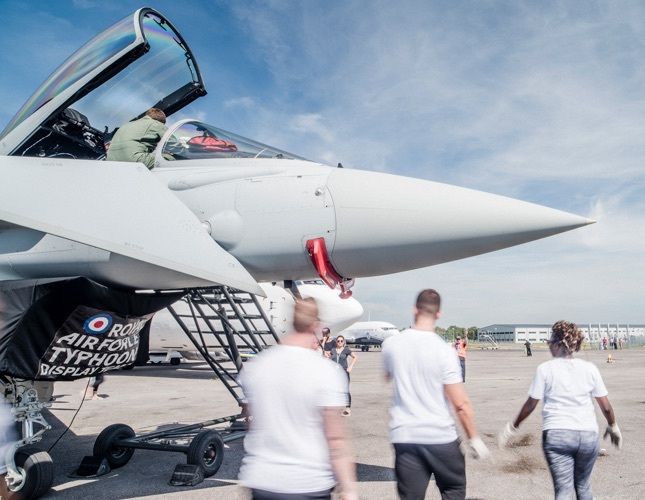 Thank you to Dorset Plane Pull for their incredible efforts on putting together an event that creates a great deal of fun for our teams and raises vital funds needed for Julia’s House. You don’t need to pull a plane to be a part of the big day. Help is always appreciated and we’d love to hear from you. The Dorset Plane Pull was founded to raise awareness and valuable funds for charities. Whether you’re looking to volunteer, become a named charity or just chat, we’d love to hear from you. Want to use our logo or brand?